Includes wall-hung bowl with Reveal® Quiet-Close with Grip-Tight seat. 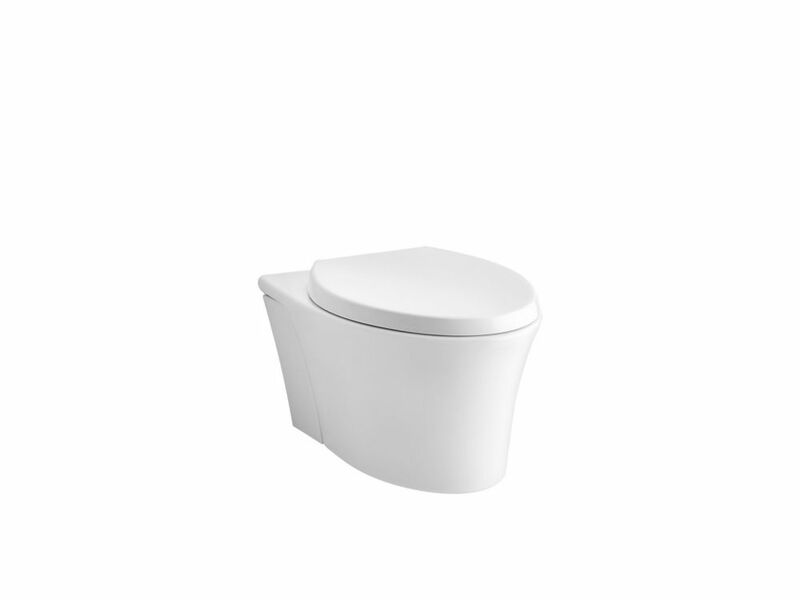 Veil Elongated Toilet Bowl Only In White The Veil wall-hung toilet saves up to 12 inches of precious bathroom space over KOHLER's longest floor-mount models. The mounting hardware is completely concealed, giving Veil a sleek, seamless look that is incredibly easy to clean. Veil Elongated Toilet Bowl Only In White is rated 5.0 out of 5 by 2. Rated 5 out of 5 by XtremeDIY from The 'east of installation' rating is for this toilet bowl only and not the in-wall tank that is r... The 'east of installation' rating is for this toilet bowl only and not the in-wall tank that is required to go with this bowl. (I've put my review for the tank with that product and won't go back over it here; I'll just say it gets a good mark although it does require above-average DIY competency or professional installation). The comment of importance here is that this bowl extends only 21" from the finished wall, whereas a regular toilet is going to be about 31" (a savings of 10" of space! which was a make or break for my small bathroom area). For bathrooms with constrained space, the small profile of this unit is a life saver. As for the unit, it has worked very well.